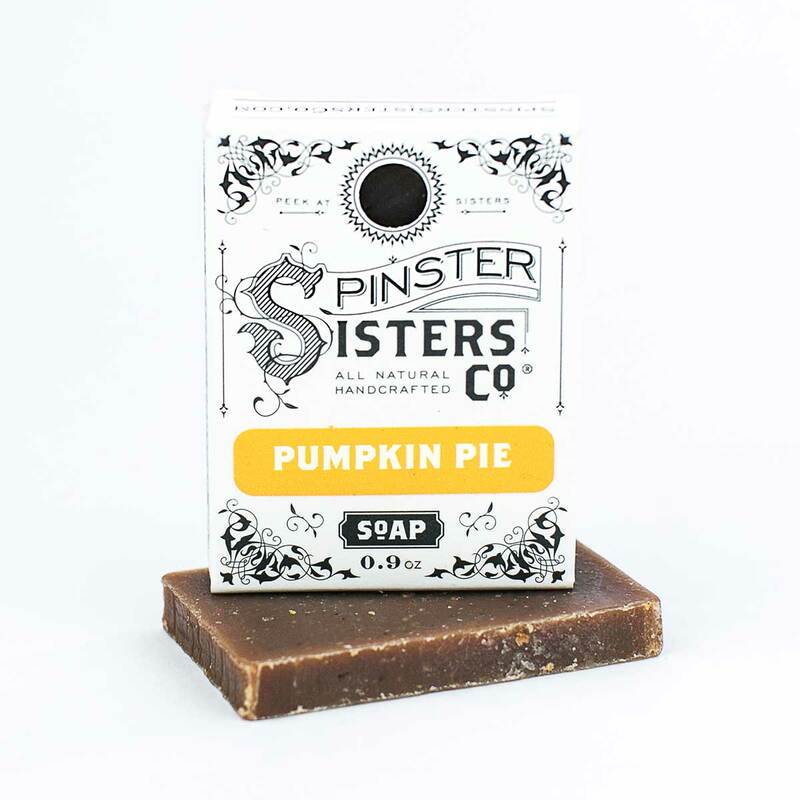 Pumpkin Pie B&B Bath Soap | Soap | Spinster Sisters Co.
Pumpkin Pie Bath Soap is made with collodial oatmeal which offers a gentle but thorough exfoliation. These B&B Bath Soap bars the just the right size to travel with or give to guests. They are made with the same moisturizing, oil-rich formula as our large Bath Soap bars but are just cut down to a smaller size! 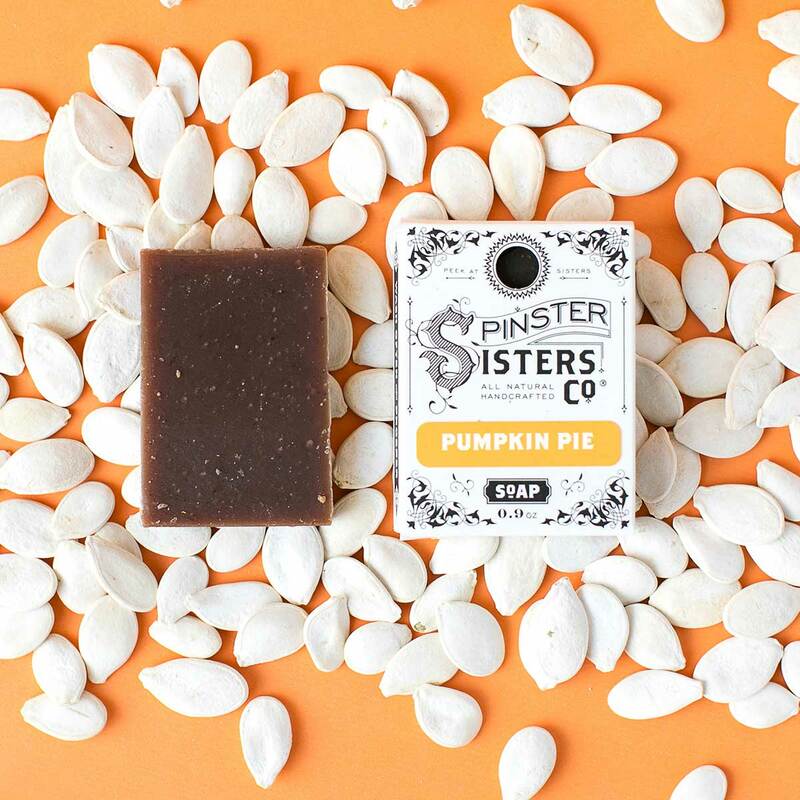 Our soaps are made with natural plant oils and cleanse your body, face, and hands without stripping your skin of natural oils or leaving you with that waxy feeling. 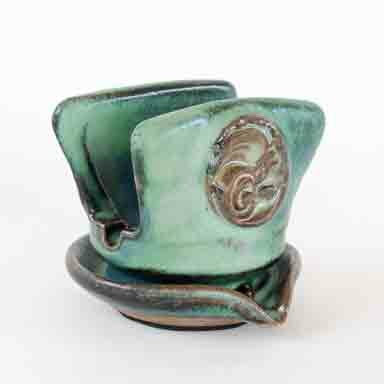 Grab some for your guest bathroom, your next trip, or to test out a new scent! Olea Europaea (Olive) Fruit Oil, Cocos Nucifera (Coconut) Oil, sustainable Elaeis Guineensis (Palm) Oil, Ricinus Communis (Castor) Seed Oil, Prunus Armeniaca (Apricot) Kernel Oil, Argania Spinosa (Argan) Nut Oil, fair-trade Butyrospermum Parkii (Shea Butter) Fruit, Theobroma Cacao (Cocoa) Seed Butter, Colloidal Oatmeal, and Fragrance. 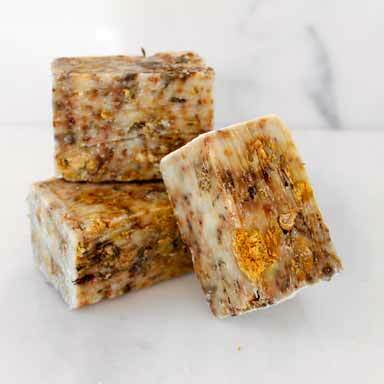 Supply guests with B&B Bath Soap and bask in the compliments of how thoughtful you are to provide great soap. 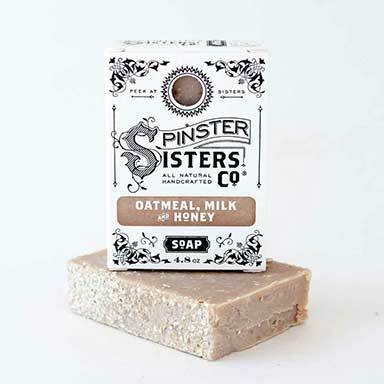 Take a bar on your next trip to avoid the sometimes harsh and irritating hotel soaps.